When I reviewed The Incredibles 2 back in June, I gave it a favorable review by giving it a 4 atom rating. Several watches later and my sentiments are still the same. Much of the film’s enjoyment still comes from Bob and Jack-Jack’s storyline. Seeing Bob try to adapt as a stay-at-home dad is hilarious. We’ve seen before that Bob has a tendency to muscle his way through any problem. Yet when it comes to household problems, it’s a completely different situation. So as you see Bob do whatever he can to fix everything you can’t help but laugh. At the same time, you can help but feel some warmth in your heart too. Yet the film’s biggest highlight is none other than Jack-Jack himself. The character is just so fun to watch on screen. Sure, a lot of his powers tend to come from nowhere but that’s why it’s fun. Besides seeing him go up against the raccoon is still one of the funniest scenes I’ve seen this year. It’s also nice to see Helen Parr come in and develop more as a character. While the focus of the first film was on Bob Parr, this time the focus is on Helen. So not only do you see why she’s an incredible superhero, but you get to see what makes her tick. It’s just unfortunate that the villain is as uninteresting as Syndrome was. Credit to the writers for making the identity of Screenslaver pretty unpredictable but savvier viewers might figure it out quickly. 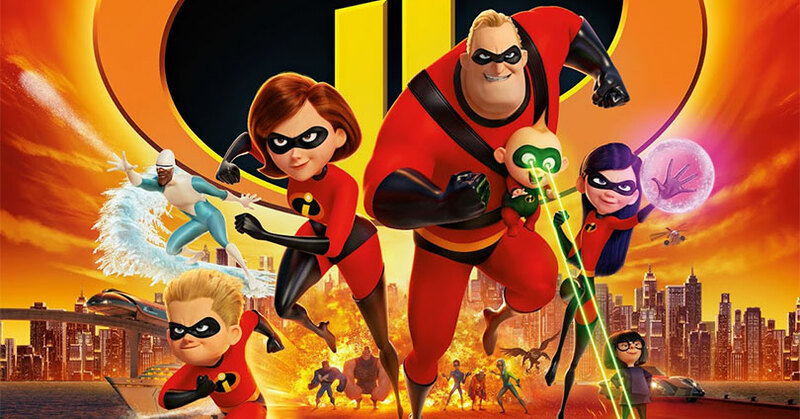 Overall, The Incredibles 2 is a hilariously fun and heartwarming film whether it’s your first time watching it or your tenth. The film doesn’t quite improve on the original but it doesn’t quite fall under the dreaded sequelitis either. Thankfully, the characters are still as loveable as you remember and it’s nice to see them on a crazy adventure once again. It’s a film that was definitely worth the 14-year wait. 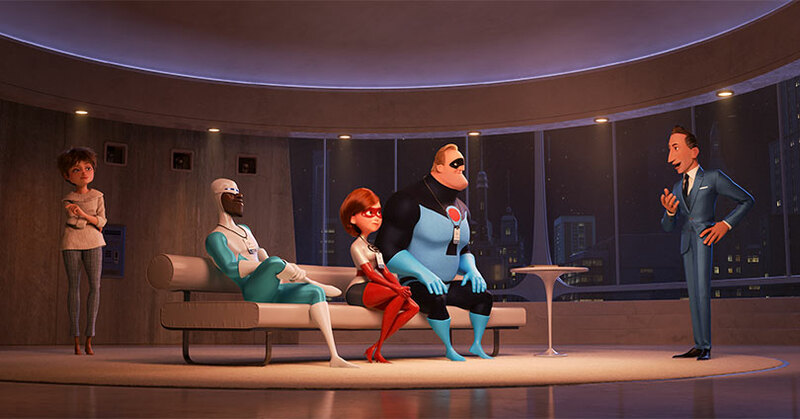 The Incredibles 2 hits Blu-ray with a 1080p MPEG-AVC with a 2.39:1 aspect ratio. The contrast gives the animation some nice depth. The black levels are a deep and inky black but there is some slight crush in the shadow details. The brightness is vibrant without any hint of bloom whatsoever. It especially makes the shine and lighting pop more on the screen. The same can be said about the film’s incredibly colorful palette. The saturation is high but that’s to be expected with an animated film. Since this is a Pixar film, you expect to see a lot of high-quality details in animation. Luckily, the detail clarity is super sharp. Thus, you can easily see every single tiny detail. Overall, this is a phenomenal Blu-ray release that’s almost 4K quality. 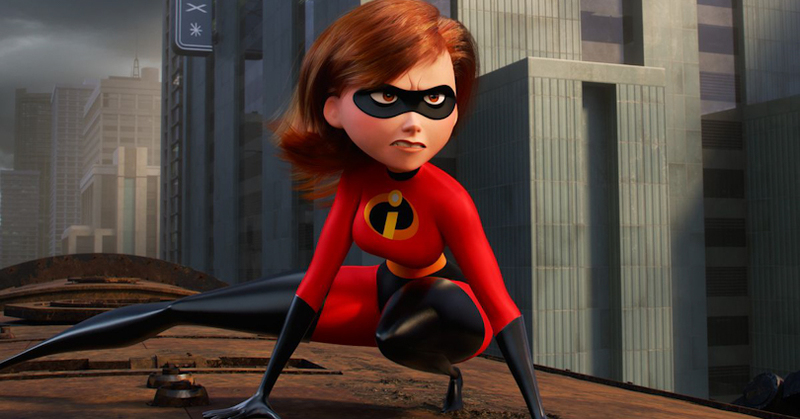 The Incredibles 2 hits Blu-ray with a 7.1 DTS-HD Master Audio track. The first thing you’ll notice is how immersive this audio mix is. The sound effects are accurately placed in the soundstage. In addition, the sound effects seamlessly pan through the soundstage which immerses you in the scene. The music also fills up the soundstage which provides the film with some nice atmospherics. In addition, you can hear the instrumental layering through each individual speaker. With the dialogue, it can be heard clearly through the center channel. There isn’t a lot of LFE but when it shows up it adds some weight to the sound effects. As it is with most Disney releases, this is a really immersive and fantastic audio mix. The “Auntie Edna” mini-movie is a nice companion short to the film. In fact, it feels more like a deleted scene than an actual mini-movie. Besides, it’s never a bad thing when we get more Edna Mode. As for “Bao,” it continues Pixar’s phenomenal streak of heartwarming and groundbreaking short films. If “Bao” doesn’t make you want to call your mother and tell her you to love her then I don’t know what will. As for “Strong Coffee,” it’s essentially a pseudo-documentary about Brad Bird. There are a lot of parts where people gush about how great Brad Bird is but it’s not just about that. Bird also drops some knowledge about animation and you get to see first-hand what goes on behind-the-scenes at Pixar. It’s an insightful featurette that all animation fans should watch. “Super Stuff” covers such a wide array of behind-the-scenes subjects in a short amount of time. As a result, there aren’t many seamless transitions between each subject. It just seems to go from subject to subject without any sort of segue. Nevertheless, it’s still an insightful featurette when you want to know how the film was made. “Paths to Pixar” is a sweet little featurette where Pixar animators, the cast, and the crew talk about how both Incredibles films parallel their lives. It’s a featurette that’s skippable but it’s still good to see how these films are rooted in reality. “Superbaby” is a featurette that’s aimed strictly at kids. Paige and Frankie from Disney Channel’s “Bizaardvark” takes a kid-friendly approach to inform kids about the making of the film. If you’re an adult, you may find the featurette annoying but the kids will love it. “Ralph Eggleston” is an insightful featurette which gives you information about what a production designer does. It’s a short documentary but you’ll learn a thing or two nonetheless. “Making Bao” is a very informative and in-depth featurette about the making of Bao. Domee Shi provides a lot of information about the film. “Heroes and Villains” individually break down the characters from their personality to how they’re animated. Unfortunately, these featurettes are short so it doesn’t go too in-depth. “Vintage Features” are cheesy faux-vintage creations that reflect the time period that the film is emulating. These shorts get repetitive so these can be skipped. A lot of the deleted scenes are fun to watch but Brad Bird explains why it was cut from the film. With or without Bird’s explanation, it’s easy to see why it was cut from the final version of the film. Overall, The Incredibles 2 is an incredibly fun and entertaining film that lives up to the quality of the first film. Highly anticipated sequels that come out several years after the first never turn out that well. Thankfully, The Incredibles 2 is worth the wait. The video presentation and audio mix are reference quality but the special features are a bit lacking. There are a lot of special features but a lot of them are skippable. It’s definitely a case of quantity over quality. 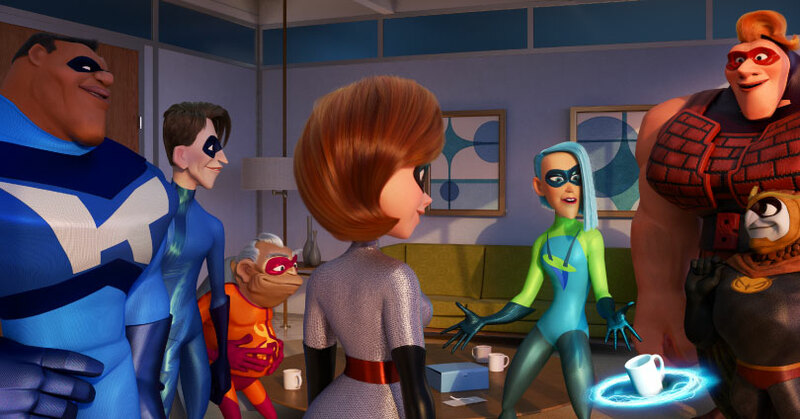 The post The Incredibles 2 – Blu-ray Review appeared first on Nerd Reactor.